It’s a slow week for theatre, as the end of the summer is usually reserved for outdoor shows and revues–which is what we have on offer here this week! Five great shows for under 25 dollars, all picked to illustrate this end-of-the-summer trend. Some of these are one-day-only, to make sure to check them out under the cut! Matteo Cassano’s Icons: The Experience. Female impersonator acts perform celebrity tribute acts plus audience games and live comedy. Aug 26 at 7:30 pm. $25. Show Info. Hamilton Karaoke: Encore. Written on Water Theatre presents an interactive musical fundraiser for the company. Request your song when you buy tickets. Aug 23 at 7:30 pm. $25. Show Info. Shakespeare in High Park: All’s Well that Ends Well. Canadian Stage and the York University Dept of Theatre present the annual outdoor theatre gig. The bed-trick romantic comedy is performed outdoors. Previews from Jul 1, opens Jul 15 and runs to Sep 4, Wed, Fri & Sun 8 pm. (Hamlet runs on Tue, Thu & Sat to Sep 3). Pwyc, $20 suggested; advance premium reserved seats $25. At the Amphitheatre. Show Info. Twelfth Night by William Shakespeare (Dauntless City Theatre Company). 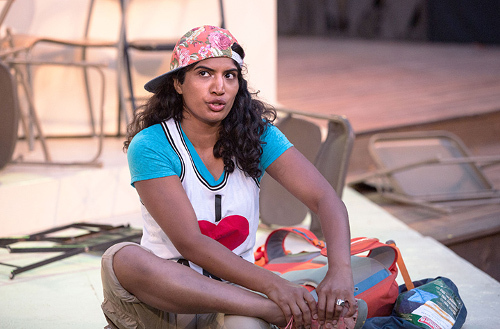 The darkly comedic masterpiece of mistaken identities and misplaced love is performed outdoors. Opens Aug 6 and runs to Aug 28, Sat & Sun 1 pm (no show Aug 14). Pwyc, $10 suggested donation. Show Info. Winter’s Tale by William Shakespeare (Dauntless City Theatre Company). The magical story about the power of forgiveness and love moves all over the park, accompanied by live music and puppetry. Opens Aug 5 and runs to Aug 27, Fri-Sat 7:30 pm. Pwyc, $10 suggested donation. Show Info. Photo of Mina James by Cylla von Tiedemann.